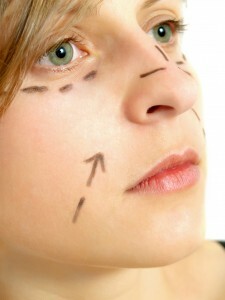 The facelift is one of the most popular plastic surgery procedures available and known to people. But sometimes, standard facelift does not touch on the specific areas needed by the patient. For people who wish to have work focused on the areas around their cheeks and lower eyelids, there is a facelift available for that specific purpose; the mid facelift. The mid-facelift, as the name suggests, focus on the middle section of the patient’s face, specifically, around the cheeks and lower eyelids. This is to fix eye bags, enhance hollowness located in the upper area of the cheeks, and to fix imposing nasal folds. Because this kind of facelift is focused on a specific area, it is considered to be less invasive that a general standard facelift, allowing the patients to recover more quickly, with less risk of swelling, and see results faster. Mid facelifts require small but deep incisions into the muscle tissue of the face, with the surgeon adjusting the muscle and fat tissue from underneath the middle of the face, pulling it up to smooth and tighten the skin in the area. Sometimes, a surgeon can use an endoscope, which is a device that is not unlike a small camera attached to an extending limb, which can be inserted into the incisions to view the operation from the inside, making the whole procedure easier and faster to do. The procedure then becomes an endoscopic mid facelift. Whether the surgeon uses an endoscope or not, once the operation is done, the incisions are then sutured. The typical recovery time for a mid facelift usually lasts around one week or so, depending on the patient’s own physiology. There are times that recovery time is shorter because of the use of the endoscope, because this gives the surgeon more accuracy and a better view of what is being done. There are a couple of available techniques that can be employed by surgeons when performing mid facelifts. The first requires an incision in the lower lash line or the nasolabial fold. This method is more suited for patients that need a vertical pull of their tissues. The other needs two endoscopic incisions in the patient’s temples which are hidden underneath or behind the hairline, which gives the surgeon multiple access points where he or she can lift the muscles of the face and the skin in any direction. Mid facelift costs can vary depending on the skill of the doctor, the location of the clinic, and the equipment and materials used. The average cost is around $6,000 to $7,000, which can go as low as $4,000 and as high as around $10,000. This will cover everything, from the anesthesia, to the clinic or hospital fees, the surgeon’s fee, and more.